Whānau Manaaki is the not-for-profit organisation behind 85 kindergartens in Horowhenua, the Kapiti Coast, Wairarapa, Upper Hutt, Eastbourne, Petone, Porirua and Wellington. We also offer a homebased service in Porirua. We are an incorporated society governed by our board - an elected group of parents and staff representatives - which sets policy and strategic direction. Whānau Manaaki Kindergartens operate within the policies and guidelines the board sets, with the support of a senior management team. We offer high quality teaching and learning with our 100% qualified and registered kindergarten teachers and our highly skilled and trained educators. Whānau Manaaki provides administrative, management and property management support to 85 kindergartens and educational leadership and professional development for up to 700 teaching staff and home based educators. An ongoing focus on innovation and educational excellence enables our teachers and educators to provide to the needs of children and families, reducing their administrative load. The organisation also coordinates local committees and provides training and support to parents/whānau. More than 5,600 children now attend one of Whānau Manaaki’s 85 kindergartens and 150 children are enrolled with our Pasifika-focused Etu Ao home based service. Whānau Manaaki children are getting a great start to their formal education in a caring community setting. 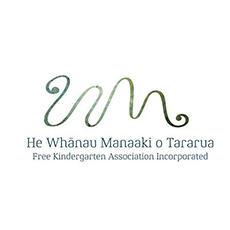 In 2014, two established kindergarten organisations came together to become one, creating He Whānau Manaaki o Tararua Free Kindergarten Association Incorporated (Whānau Manaaki Kindergartens) - one of the largest providers in the New Zealand early childhood sector. Our name translates as "the caring family of Tararua" and recognises the value of the kindergarten movement and the Tararua range that defines the region. The name was developed in association with Sir Tamati and Lady Tilly Reedy, who both have a long association with early childhood education, including involvement in the development of the early childhood curriculum, Te Whāriki. The merger between the Rimutaka Kindergarten Association and Wellington Kindergartens is an important step in ensuring that kindergarten - one of New Zealand’s best loved and longest standing institutions - will continue to strengthen and thrive in our regions. Whānau Manaaki families have access to early childhood education that draws on the strength and history of each individual organisation, while ensuring there are the resources and skills to for families, learners and communities. We’re working hard to meet the changing needs of families, with options of longer hours and greater flexibility, while preserving the things that make the kindergarten approach so special. As a member of New Zealand Kindergartens, Whānau Manaaki is committed to keeping alive the kindergarten principles that have made it a New Zealand treasure for more than 100 years: we are community based, not-for-profit, and children learn at their own pace. 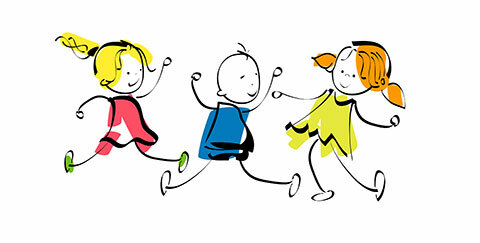 Our services are locally responsive, promoting excellence and innovation, involving parents, and in the kindergarten tradition, are closely connected to local schools.